The convenience of a car service that can take you to and from the airport can be as useful and invaluable as you consider it. 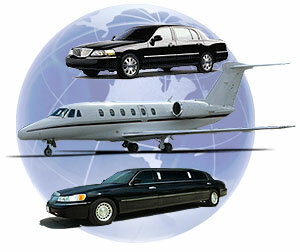 For some people, the convenience of an airport limousine rental limousine is not worth the investment or the cost of hiring a car and driver. For others, the convenience of getting to Toronto International Airport is worth any investment, especially when they cannot depend on an individual to get them there on time. When you consider all the factors we can present to you, Toronto Airport Limousines becomes a more valuable service to many, especially those in the corporate world and families taking their vacations outside the country. When you have doubts about whether you really need an airport limousine rental, the folks at Toronto Airport Limousines can present you with examples and situations that may not have not been in your preparations, which will result in re-evaluating the usefulness of the service. We think of the few situations where such a car service can be convenient, and we build our services based on these situations. One of the most important services is that of the corporate needs, where picking up and arranging the pickups of an incoming visitor to the city needs the best care. With professionally trained drivers, you do not have to compromise or send a junior employee to do the job. Instead, one of our drivers can do all the work.